We are so very excited to finally, after many months of hard work, host 1/2 of German tech house duo, and personal favorite, SUPER FLU. 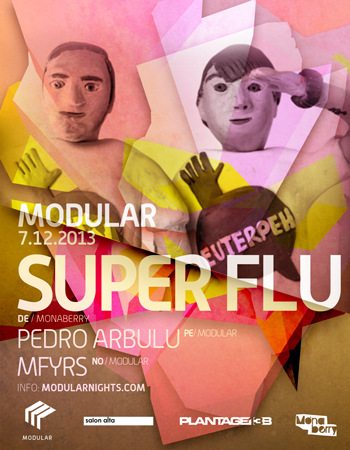 We can’t release the name of who will be joining Modular for this event, but check out Super Flu’s Facebook page for the details. Free entry between 9 PM – 10 PM with Facebook RSVP.